The Jungle Alexandra is an exciting dressing with an interesting history. It was first called ‘The lady of the lake’ then renamed after Queen Alexander. It was reputed to be such a killer in the mid 1800s that it was banned on some waters. It is best fished in lakes for trout as a fry imitator, retrieve in a series of sharp irregular jerks, but it is also successful in rivers but mainly for sea trout. Wing : Peacock sword herl. 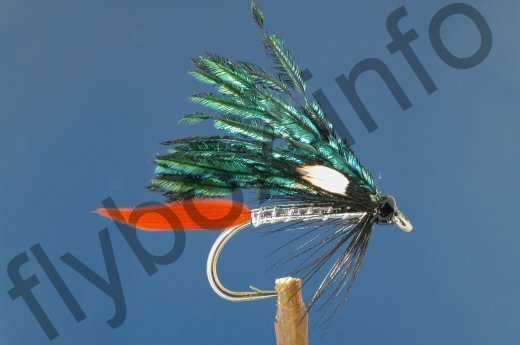 Currently there are no comments about the Jungle Alexandra fly pattern from other fly fishermen yet.